It can often be said that, “ignorance is bliss.” A few years back I was at a coaching clinic when I heard a fellow strength coach talk about the use of PUSH bands in his weight room. As he described the uses and possibilities of this technology, I asked myself what many teachers and coaches ask themselves in public education; how much will this cost and can I afford it? I had heard a bit about some of the early technology to track velocity and my thought was a small school such as where I teach will have a hard time securing the funds to add this technology to their weight room. I did not dig much further into the topic and felt content leaving the concept of velocity based training for another day. I had the opportunity not long after hearing about PUSH bands to listen to Dr. Bryan Mann speak at a clinic on velocity based training. This was a topic I could no longer avoid and it was becoming more evident to me that this is where the field was going. This led me to do more research into how I could incorporate velocity based training into our school program. I contacted the people at PUSH and realized that by comparison to other velocity based technology on the market, PUSH was very affordable and offered many features. As a result, I ordered a single unit so that I could see this technology in action before I committed to buying more. I have been fortunate to have great support from our school administrators and the local school board. They challenge us as teachers to find new and innovative ways to educate our students. As modern day educators, it is important that we meet students where they are at. Engaging the students in practical technology in the classroom is right where we need to be to meet that demand. After a few weeks of having that first PUSH band in the weight room, the word was out how much fun we were having with it. I knew that I would want more devices, so I employed the help of some of my students to “sell” the idea to our administration. One day our school superintendent stopped by the weight room and some of the students asked him to put on the PUSH band and do some reps on the bench press. He had known of the technology from previous conversations we had. So, he climbed under the bar and did five reps without any feedback. After the set, we showed him the velocities he hit on each rep and then the overall average velocity. We then explained to him the force-velocity curve and encouraged him to try five more reps and this time to press with maximal intent. As you can imagine, the encouragement along with having the visual display on the tablet made his subsequent velocities increase. It was an awesome moment for all of us to see again how technology can help create a fun and competitive learning environment. I remember the conversation with my building principal when I asked whether it would be possible to get some more PUSH bands. She was more than happy to support the idea and I mentioned how this kind of technology is exactly what helps re-energize the passion of a teacher. 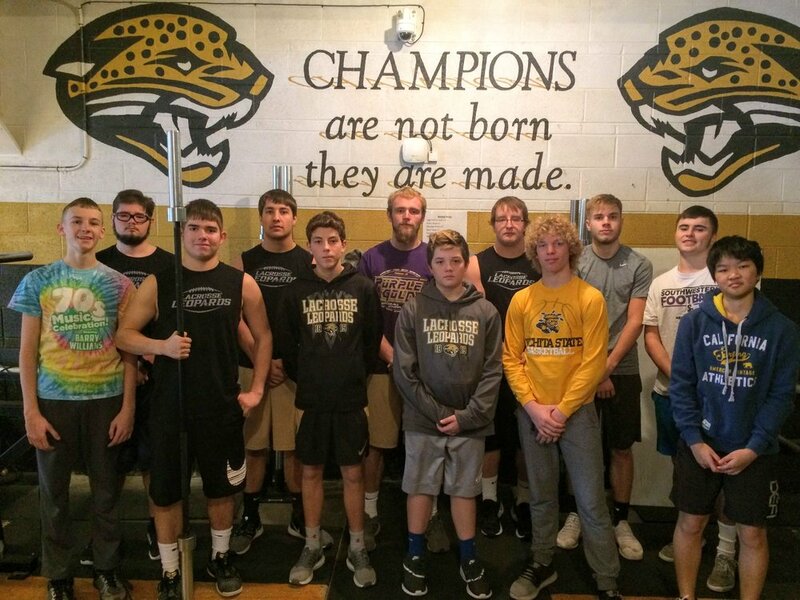 It is not only knowing that PUSH technology can create more adherence to the program, but the students can dig deeper into the cross-curricular subjects involved in the weight room. We can have conversations about what a gyroscope and accelerometer are and how this same technology is not only found in a PUSH band, but was also found on the Apollo missions to the moon! The data we receive from using PUSH band helps drive conversations on practical math, science, and physics. From my perspective, our students want to personalize their educational experience and share with each other those moments. I believe one challenge many coaches today face is changing what we do to create those moments of learning. I have been very fortunate to have a group of coaches not only within my school district, but also in other school districts who are driven to share what works best for them to reach their student-athletes. We bounce ideas off one another, and a good number of us have even implemented PUSH bands into our weight rooms. It’s motivating to know that I can reach out to these coaches at anytime to talk shop, knowing that they will also share whatever knowledge they have. My goal in writing about our experience with velocity based training and the use of PUSH bands has been to encourage other coaches in my similar position to consider new ways to educate your students. While success can come in many different ways in our educational journey, I believe our students learn best when we as educators challenge what we know. 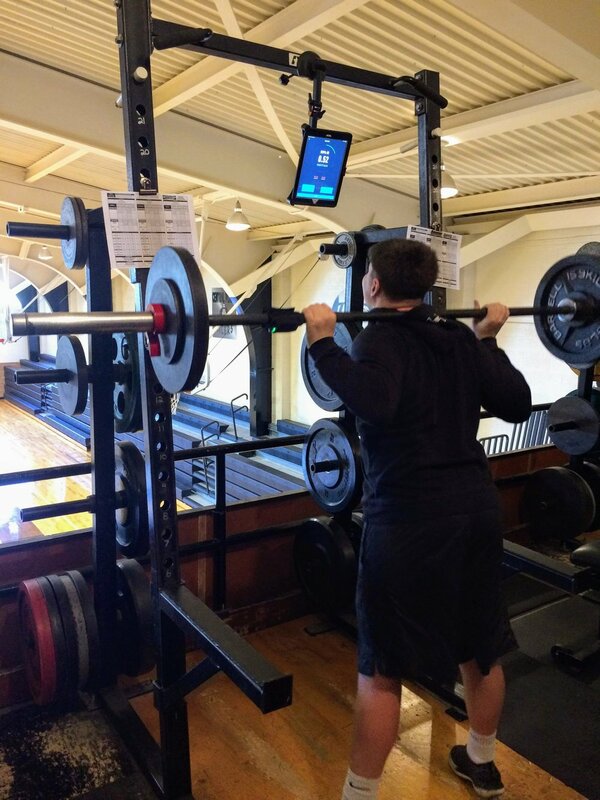 The square footage of your weight room should never determine the quality of education that your students receive. It is with thanks to the hard working people at PUSH that we are able to reach the demands of the evolving field of strength and conditioning. I am excited for how technology can advance our learning in the future. We will certainly be waiting at the edge of our seats in La Crosse, Kansas for those advancements. Chris teaches physical/health education at La Crosse Middle and High school in La Crosse, Kansas. Within that capacity, Chris teaches strength and conditioning classes which consist of a mix of male and female students grades 9 – 12. In addition to his teaching duties, he is an assistant high school football and track & field coach. He has been in his current role since 2009. Chris holds a Bachelor’s degree from the University of Nebraska at Kearney in Exercise Science (Sports Nutrition). He also holds duel Bachelor’s degrees from Fort Hays State University in Health and Human Performance and Education. He is USA Weightlifting Level 1 Certified.